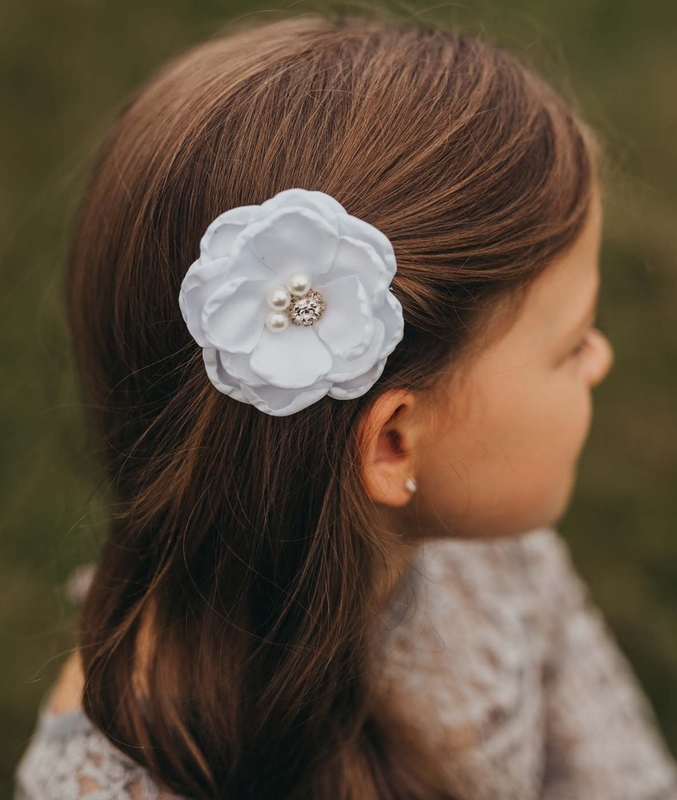 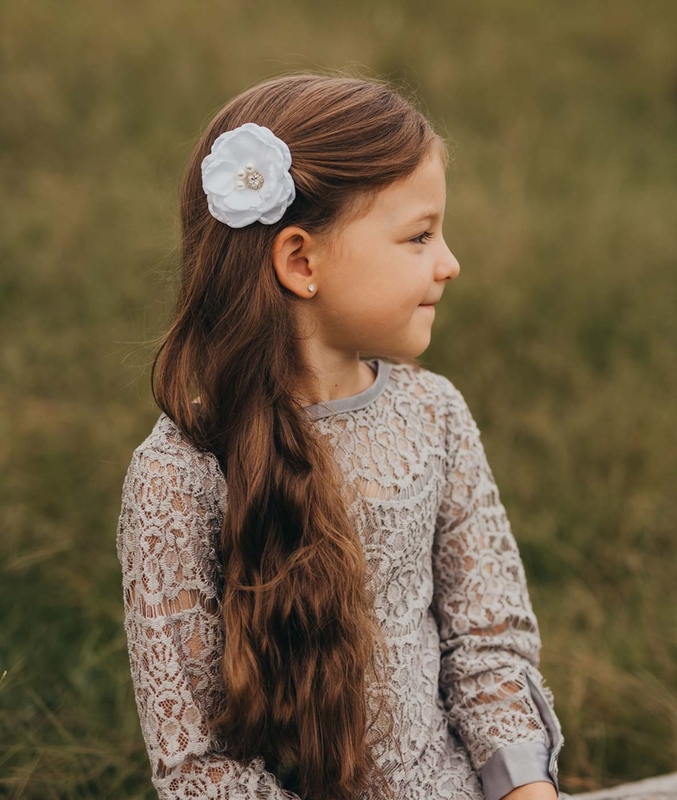 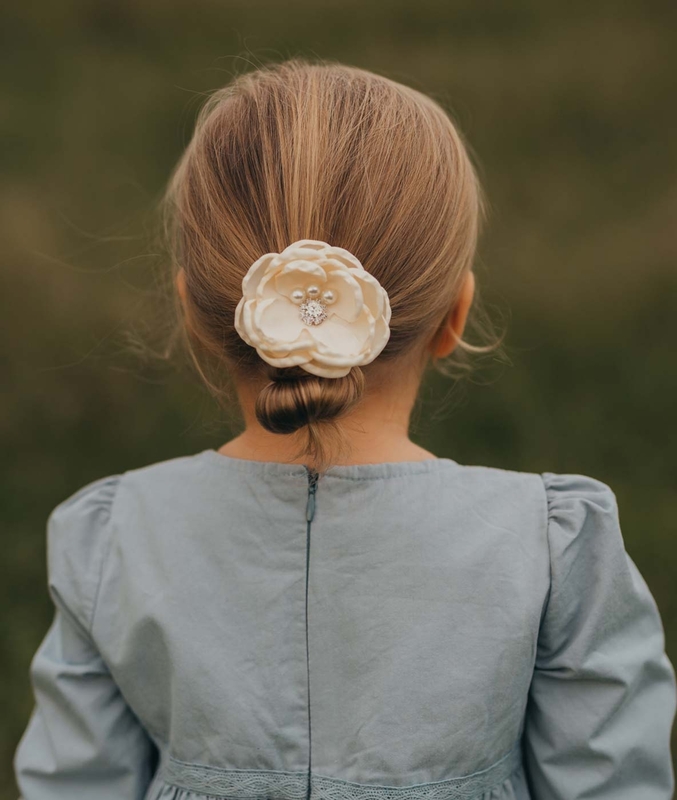 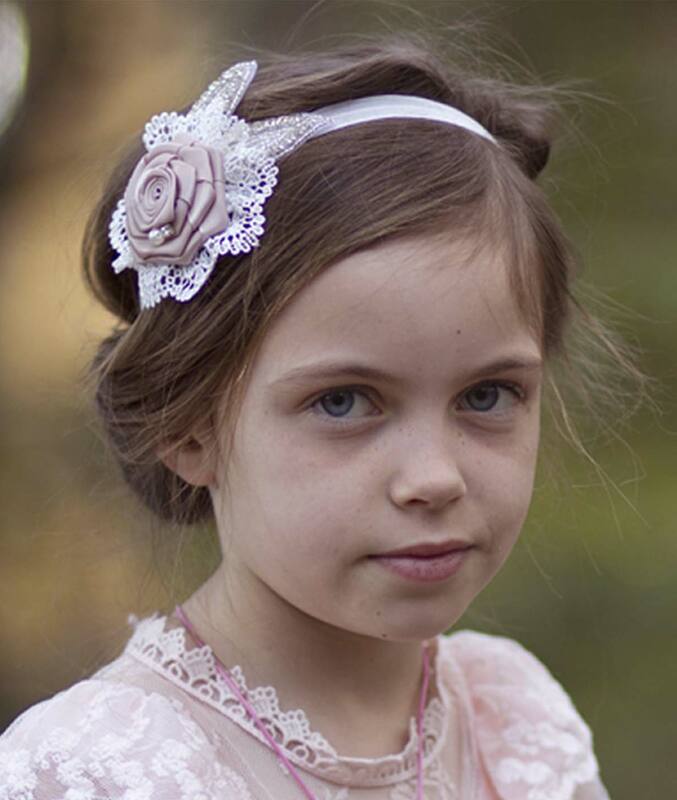 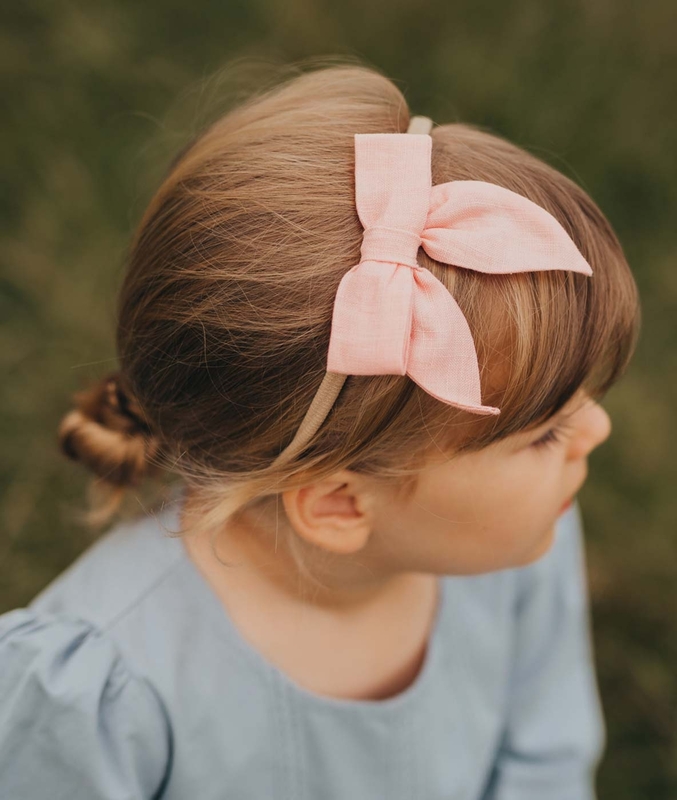 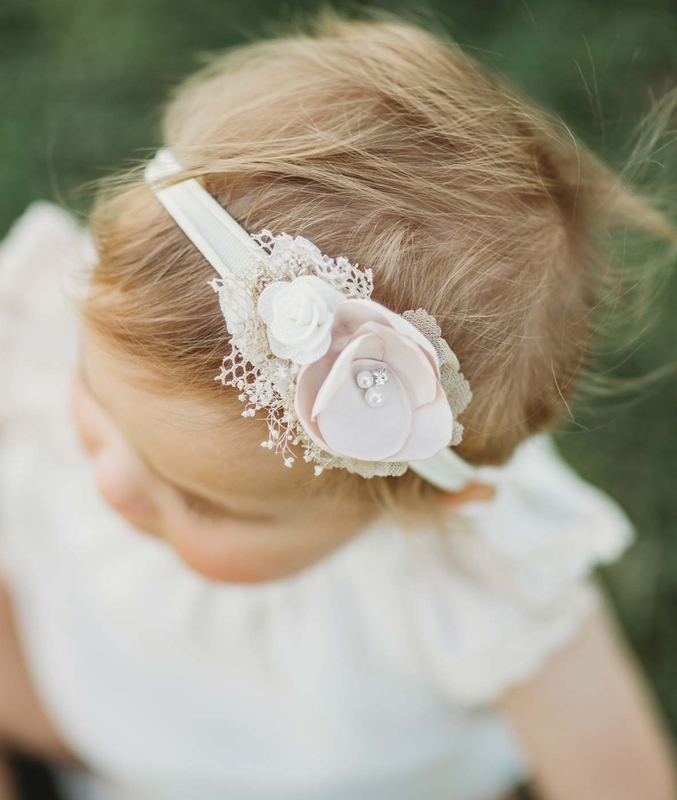 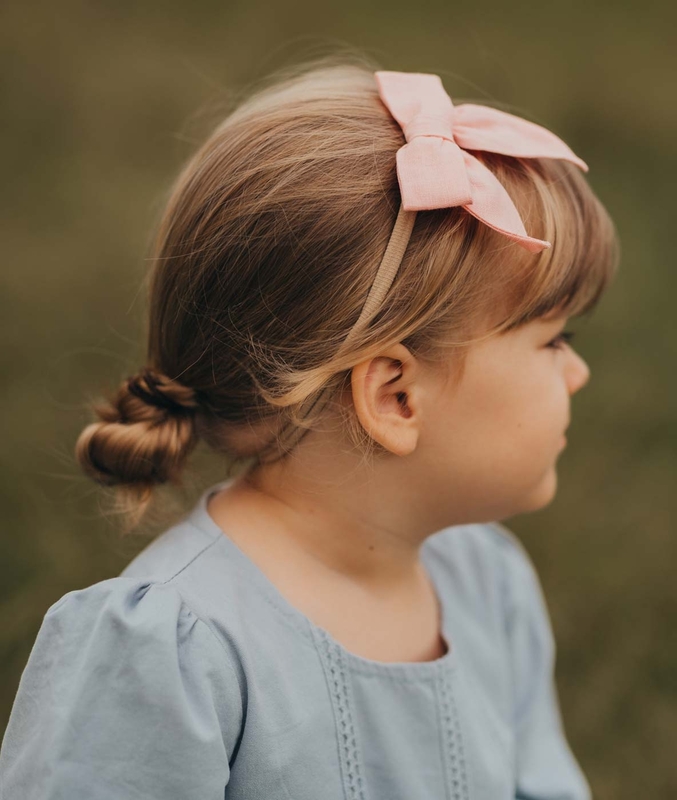 Our Tea Rose headband is simply stunning. 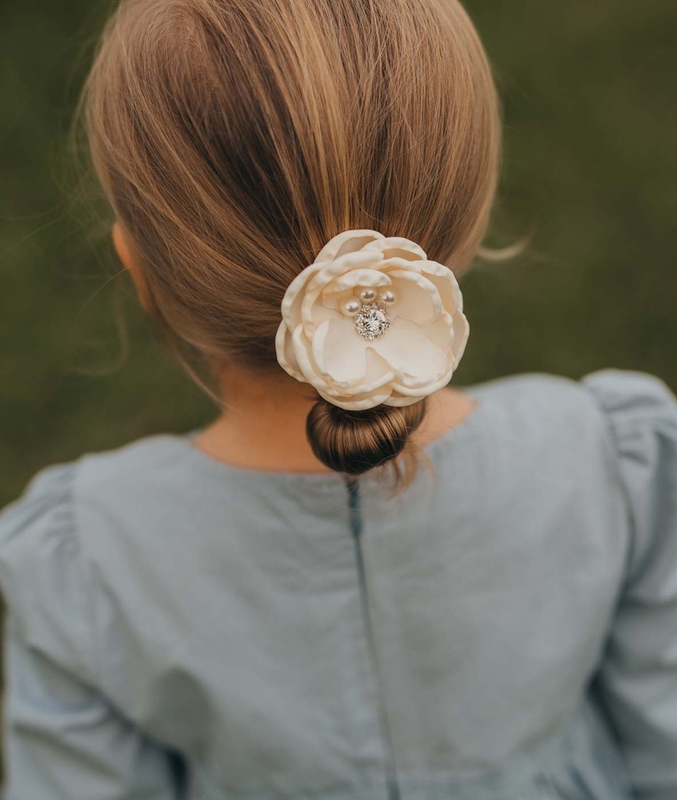 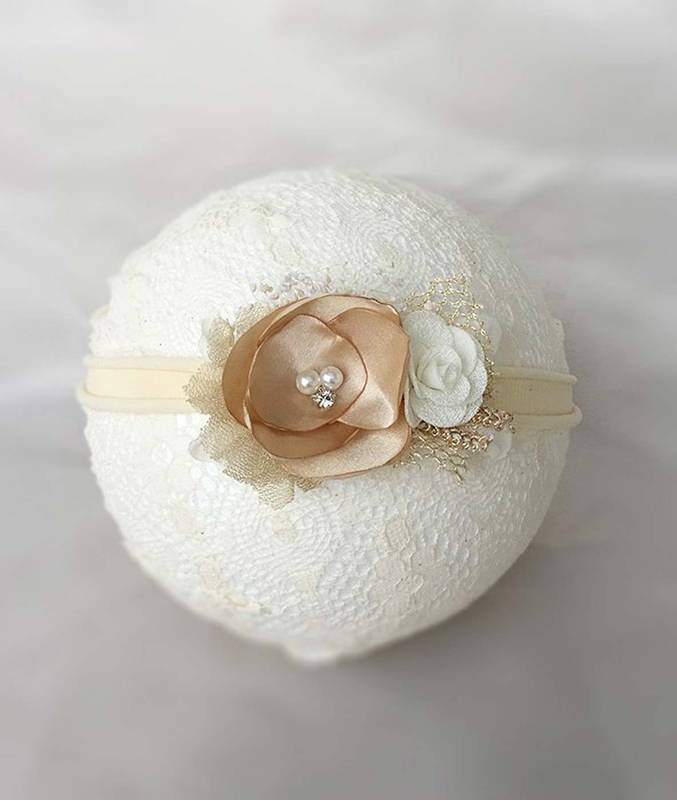 It consists of a dusty pink rosette decorated with a pearl and gem that’s surrounded by beautiful crochet lace. 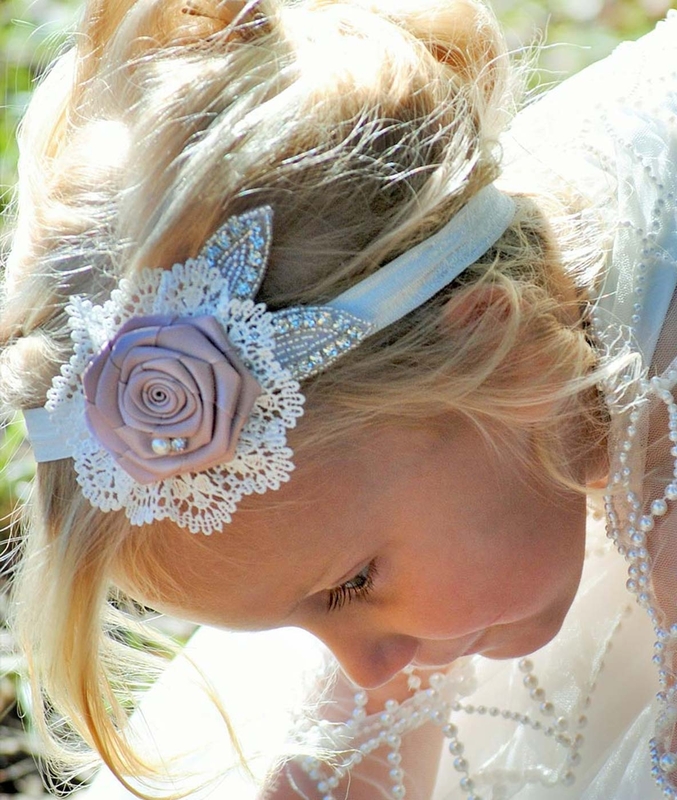 Two leaves made of gems are attached to the lace. 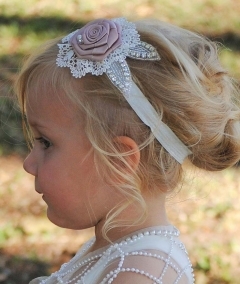 A very beautiful headband.